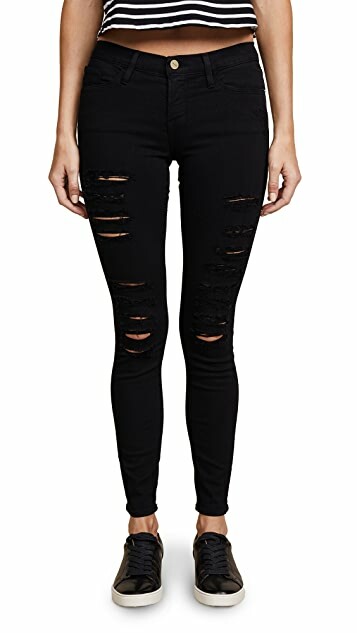 Shredded holes give a dramatic edge to these FRAME Denim skinny jeans. Gentle fading enhances the vintage-inspired look. 5-pocket styling. Single-button closure and zip fly. I am usually a full 27 in premium denim, but the majority of reviews and the item description advised to size down so I did. While the reviewers who were trying to decide between their regular size and one size down were right in that the smaller size, when it fits, has a slimming effect - I wore them and felt like I was wearing a corset! 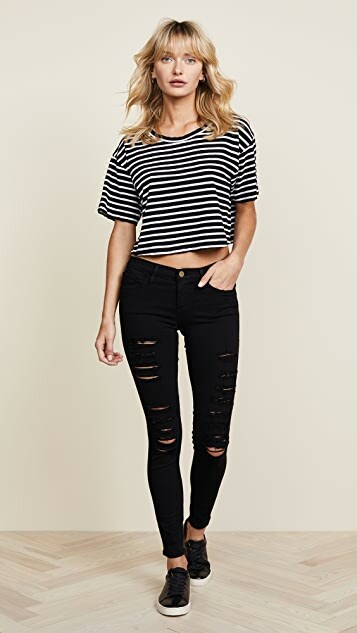 I am also in my late 30s and felt a bit like I am trying too hard with the rips - I think for my age and my more classic style, a more subtly ripped jean is better. 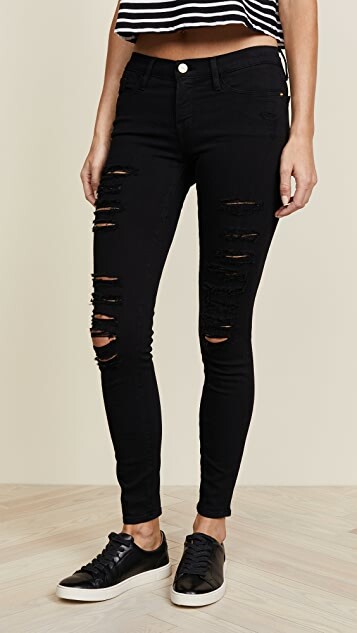 Though, if I got my usual 27, maybe I would have liked it so much that I would not overthink the rips, because the fabric was amazing and the denim was a true black. The 26 was too tight even if it fit and I was able to zip it up and move around in it - but the 27 would have been the better choice. Regretfully, I had to return. To help other shoppers, I am 5'2" with 28 waist and 38 hips. I would totally get this with less rips and a size 27. These jeans fit me perfectly. I have them in white too. I got my usual size 26. I'm 5'6 and 58kgs. 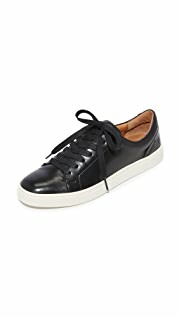 I love that they're not too heavy, so comfortable and look great with heels and a silky shirt for evening. 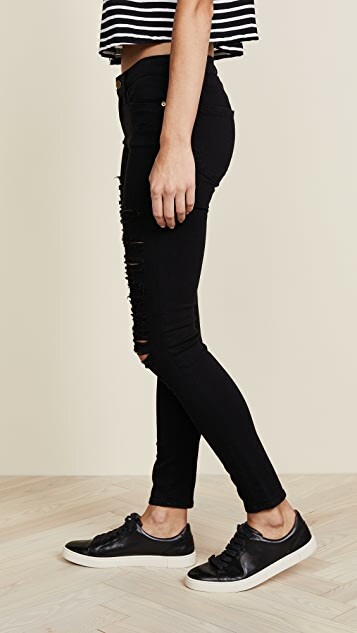 Great jeans. My first pair of FRAME denim. Superb quality. Stretchy. Usually size 23/24 in Denim. Size 23 is perfect. These are a great fit, perfect placement of shredding. I am petite and these are very form fitting. I normally take a size 25 in other jeans and also took a 25 in these. Frame jeans look small but they a very stretchy. I definitely wouldn't size down in these, they are true to size. The best jeans I have so far!! it is comfortable and looks so slim. I usually wear 26 (5'4 120 lb) and it is a little bit loose on the waist. I got both the white and black and love both equally. I am a regular 27 (AG, RB, 7, Siwy) )but bought 26 for black and 27 for the white because it's (very) slightly see through. Both fits excellently but the tighter fitting black has a very slimming effect which I love. The jeans Is stretchy but retains its shape well. 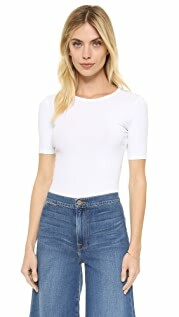 These are basic colors and I see myself getting tons of wears from them. 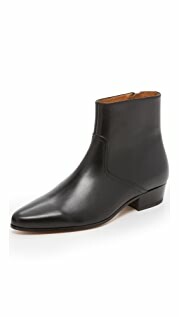 i read all the reviews and then tried these on in a store but deicded to buy them online. Its true they look small but they are very stretchy and fit well. and the fabric is soft. I can seen them getting more comfy over time too. 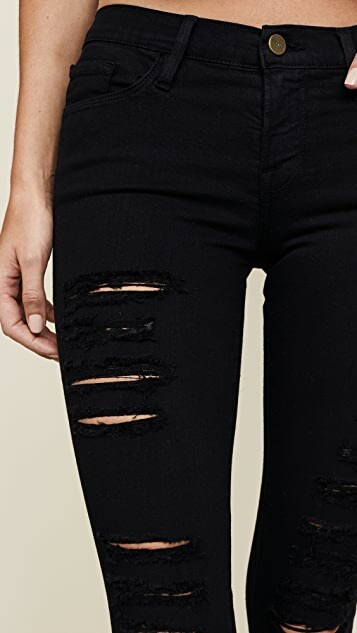 I liike that the rips aren't so open like other brands i have tried. I tried the black and white but got the black as the white is a bit too stretchy on the thighs but in the black its perfect. Im 5"4 and these are quite logn for me - will either hem them or fold them up. they are amazing. super flattering, holds me in in all the right places. stretchy, i can move and not feel constricted. i wish they did them in more colours. HIGHLY RECOMMENDED.